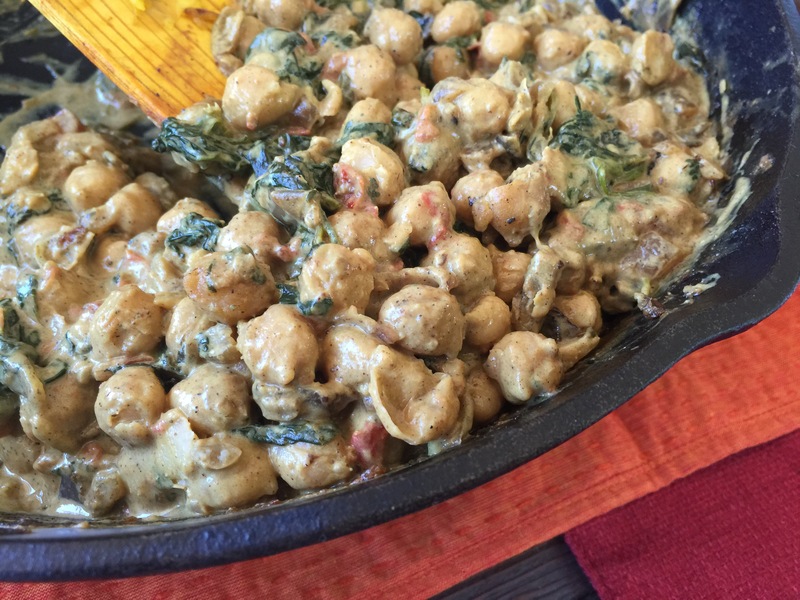 This recipe for coconut chick pea curry is quite decadent! It is a rich curry with toasted spices and creamy coconut milk. Recipe from Serious Eats. Delicious! In a skillet, toast cumin seeds, star anise, and black peppercorns. Grind in a coffee or spice grinder with the rest of the spices (cloves cinnamon, nutmeg, mace and turmeric). Heat coconut oil in a saute pan and saute onions until lightly browned, adding the green chilis part way through cooking. Add the spice mix, ginger and tomatoes and cook until the tomatoes become a paste. Add spinach and cilantro, and saute until soft. Add chick peas, coconut milk, and salt to taste. Cook for 10-15 minutes to let the flavors meld.